[S191] Donald Fraser, Autobiography, p. 8. [S232] Ancestry.com, Quebec Vital and Church Records (Drouin Collection), 1621-1967. Québec (Saint Andrew`s Church), 1830. [S232] Ancestry.com, Quebec Vital and Church Records (Drouin Collection), 1621-1967. Montréal (Methodist Saint James). [S191] Donald Fraser, Autobiography, p. 26. [S392] Website findagrave.com (http://www.findagrave.com/) "# 37675002." Carroll Bruce Totman was born on 2 March 1929.2 He married Peggy Ann Sewall, daughter of Howard Howe Sewall and Ruth Mildram Small, on 21 June 1952 in Gardiner, California.1 Carroll Bruce Totman died on 29 November 2011 in Englewood, Florida, at the age of 82. [S76] Alexander Young, First Planters, p. 525. [S21] Various editors, Dictionary of National Biography, Thomas Shepard (1635–1677). (?) Touzi [10 daughters] was the daughter of Daniel Jean Touzi and Marguerite Bleageat de Bigeardel. 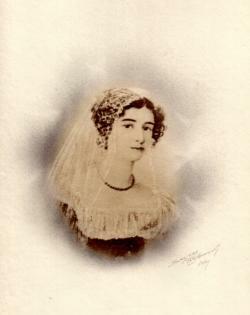 Celia Touzi was born in 1801 Twin sister of Delia. She was the daughter of François Joseph Touzi and Anne Careaud. Celia Touzi died in infancy. Daniel Jean Touzi was born in November 1728 in Vigeois. He was the son of Jean Mathieu Touzi and Jacquette Bleynie.1 He was a procureur fiscal aux Abbés de Vigeois. Daniel Jean Touzi married Marguerite Bleageat de Bigeardel, daughter of Antoine de Bigeardel and Gabrielle ? (Unknown), on 30 May 1752.1 Daniel Jean Touzi died on 4 January 1777 in Vigeois at the age of 48. Delia Touzi was born in 1801 Twin sister of Celia. She was the daughter of François Joseph Touzi and Anne Careaud. Delia Touzi died in infancy. François Joseph Touzi was born on 10 September 1770 in Vigeois, Correze, Limoges. He was the son of Daniel Jean Touzi and Marguerite Bleageat de Bigeardel. François Joseph Touzi married Anne Careaud, daughter of Como Careaud and Jean Marie Sabalos, in 1798 in Cap François, San Dominique.1 François Joseph Touzi died in 1809. Guillaume Touzi was born on 23 November 1753 in La Roche Haute.1 He was a moved to La Roche Haute St Pantaleon de Larche at Conseiller Royal, Brive. He was the son of Daniel Jean Touzi and Marguerite Bleageat de Bigeardel. Guillaume Touzi married Marie Marguerite Bleygeat on 12 August 1777.1 Guillaume Touzi died on 3 September 1821 at the age of 67. Jean Baptiste Touzi was born on 13 March 1756 in Vigeois.1 He was the son of Daniel Jean Touzi and Marguerite Bleageat de Bigeardel. Jean Baptiste Touzi married Marie Ursule Faucher on 7 May 1792. Jean Baptiste Touzi died on 3 December 1815 in Tulle at the age of 59. Jean Mathieu Touzi is also recorded as Jean Mathieu Touzy.1 He was born in 1692 in Vigeois. He was the son of Jean Touzi.1 He was an apothecary in Vigeois, France. Jean Mathieu Touzi married Jacquette Bleynie.1 Jean Mathieu Touzi died in 1732. [S17] John Gask, Les Jumelles and their families, p.69. [S117] The Times Newspaper, Feb 17, 1864. [S606] Findmypast.com, England Deaths and Burials 1538-1991 Transcription. Marie Caroline Touzi was born on 4 July 1806 in Tulle, France.1 She was the daughter of Jean Baptiste Touzi and Marie Ursule Faucher. Marie Caroline Touzi married Charles Bardon on 17 February 1829 in Tulle. 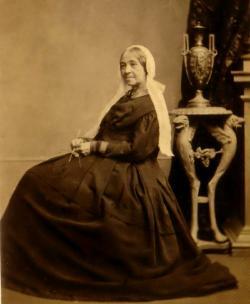 Marie Caroline Touzi died on 19 November 1882 in Tulle at the age of 76. Marie Louise Touzi was born on 17 June 1780 in La Roche Haute. She was the daughter of Guillaume Touzi and Marie Marguerite Bleygeat.1 Marie Louise Touzi married Nicolas Santax. Marie Louise Touzi died on 17 June 1860 at the age of 80. [S17] John Gask, Les Jumelles and their families, p. 79. 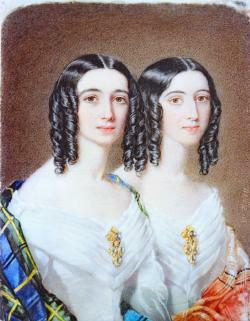 Zébée and Lucinde, "The Twins"
Children of Zébée Anne Rose Touzi and Maj. Gen. Alexander Gordon R.E. [S205] Newspaper, The Morning Chronicle (London, England), Thursday, August 8, 1822. [S205] Newspaper, Manchester Courier and Lancashire General Advertiser - Monday 26 October 1874. [S232] Ancestry.com, England & Wales, National Probate Calendar (Index of Wills and Administrations). [S146] Unknown name of person unknown record type, unknown repository, unknown repository address, Parish Register.